This week in year 4 we have been multiplying by 10, 100 and 1000. Today we explored how big we would be if we were giants! 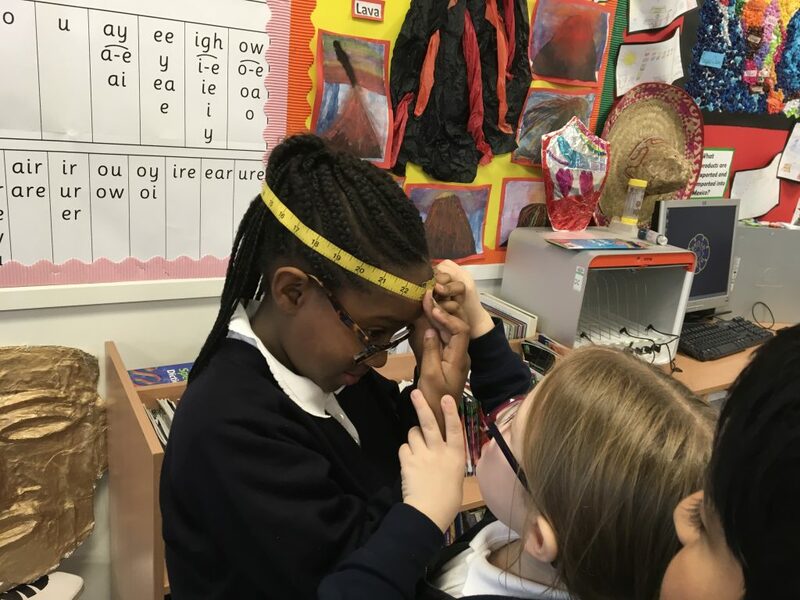 We measured out body parts and multiplied ourselves, imagine that giants running round the school! 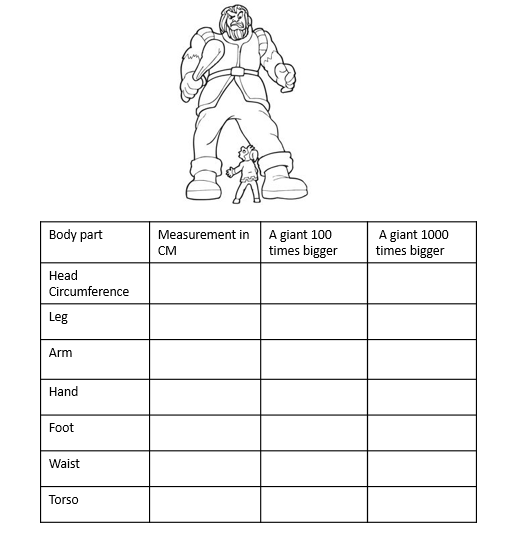 Here is how big we would be if we were giants. Well done, check number 3 again. Mrs Verna: What is the rule for x100 and x1000? When multiplying by 100 you move 2 spaces to the left. When multiplying by 1000 you move 3 spaces to the left. Mrs Verma: What is the rule for x100 and x1000? Well done some really good work everybody! Could you check your second answer for leg again? 45 * 100 = 4500. This needs answering again – do the digits change? What should happen to the original digits when we x 100? 20 x 10 = 200. Hamzas head is 21 cm wide . If Hamza’s foot was 10 000 times bigger how big would it be? It is one million two hundred and twenty nine thousand cm. Can you write this answer in words? Can you measure Aman’s height and make him 10 000 times bigger? 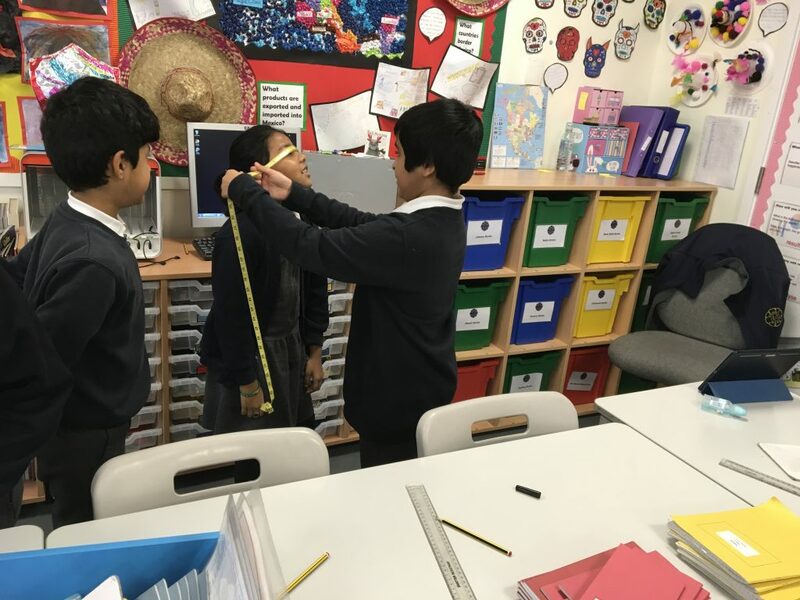 Good measuring – you now need to multiply each measurement by 100 and then 1000. 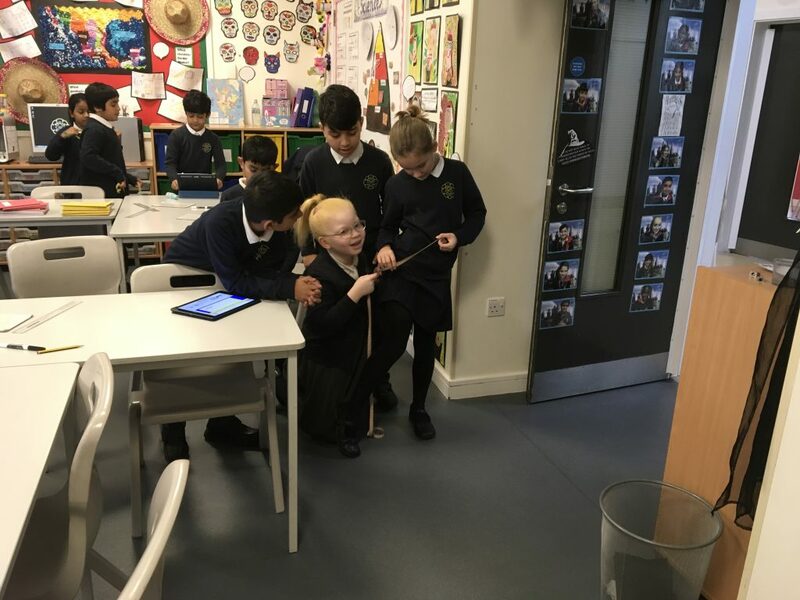 Really good work – can you measure Chloe’s height and make her 10 000 times bigger?